The above Roland old model printers do not need the chip. 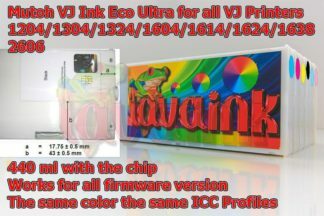 Only new model printers need the chip. 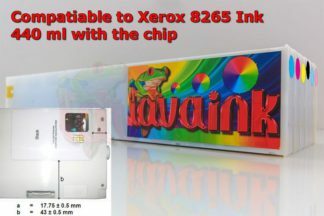 You can cover the chip with paper to test your printer if it require the chip. 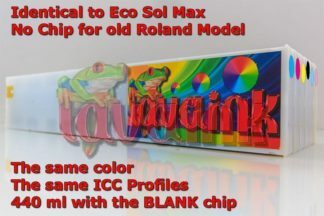 Roland inks Eco Sol Max & Eco Sol Max. The Same as Roland inks. Roland inks is dries fast. a wide color gamut. rugged scratch resistance. Roland inks Eco Sol Max support for uncoated and coated media. Roland inks has three years of outdoor durability. all at a low cost per square foot. Roland inks Eco Sol Max also offers the peace of mind of GREEN GUARD certification. 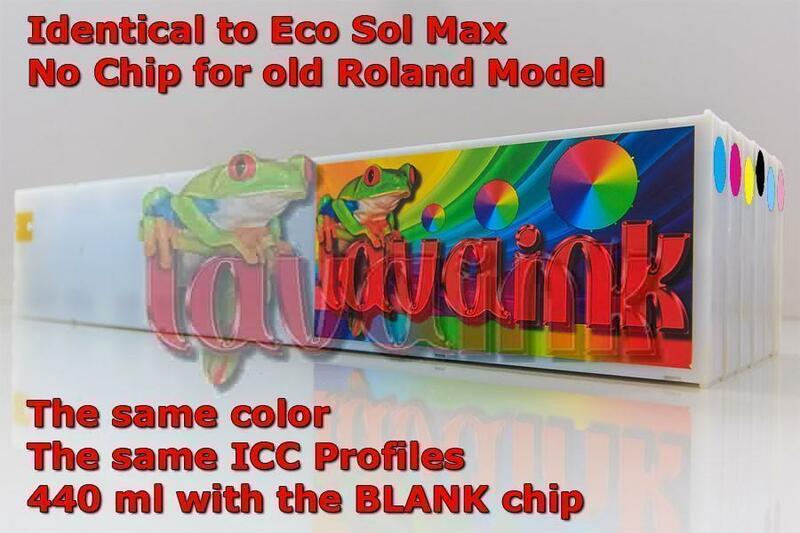 Roland inks Eco Sol Max is virtually odorless. 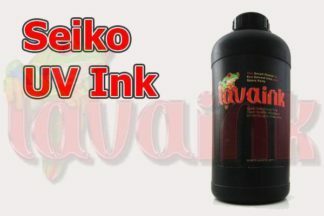 Roland inks does not require any special ventilation or environmental equipment. 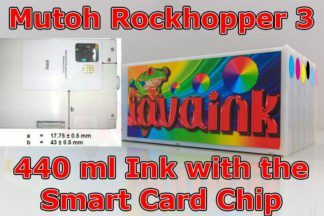 $39.95/each 440 ml Roland inks Cartridges without the chip.